Ramada Cornwall: Work and play in Cornwall! Work and play in Cornwall! Whether you’re coming for work or for play, Cornwall Ontario has all sorts of things to do! A business seminar with a difference, Play4Agile is a combination business and gaming conference! First developed in Germany in 2011, Play4Agile set forth from a basic premise – games help teach us about how people interact, providing clear frameworks for creating team efficiencies and motivations! With that in mind, the creators of Play4Agile started to develop games that would help leaders identify ways to foster team growth and excitement! On September 20th, you can take part in this inspiring and exciting workshop at Cornwall’s Nav Centre – it’s sure to be an incredible and informative time for everyone who takes part! If you’re looking for the next step forward in building a team dynamic at work, then you should definitely register – not least of all because this is a tax-deductible way to play all day! 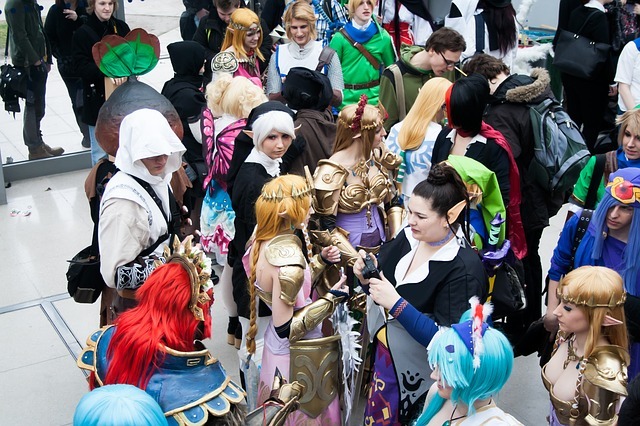 Located in Massema, NY, Upstate Comic Con is a twenty minute drive from Cornwall! You can live in the same city and take more time getting to a con! In many ways, Upstate Comic Con is the little con that could. Featuring dozens of vendors and contests, viewings, cosplay competitions and more, this is your chance to get out and really let your geek flag fly! Get a photo op in a Jurassic Park Jeep, buy a custom Lightsaber replica from Jim Moscatello, and complete your collection of Funko Pops with a variety of tables selling rare and collectible items! Of course, the main draw is getting to hang out with hundreds of fellow nerds who love the same things you love. UCC is definitely nerdvana – don’t miss out! Whether you’re visiting Cornwall for work, play, or both, book a room at the Ramada Cornwall for world-class comfort and service. Our on-site restaurant and bar, the Eight Zero Zero Resto Lounge, provides a comfortable and upscale place to relax after a busy day! Book your room today for the ultimate trip.